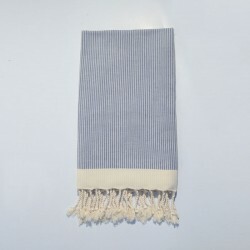 Handmade wool throw " Okba"
Woven on traditional semi-mechanical looms (not industrial looms) with hand finished tassels. Its very smooth and flowing texture makes it excellent for baby skin. Comes in a wide range of particularly elegant pastels colors.